Children are explicitly taught the skills of reading (outlined in the National Curriculum and the KS1 and KS2 test domains) through the use of VIPERS which were created by Rob Smith (The Literacy Shed). The Reading Vipers can be used by both KS1 and KS2 with a little adaption. The main difference being in the S.
In KS1, ‘Explain’; is not one of the content domains, rather it asks children why they have come to a certain conclusion, to explain their preferences, thoughts and opinions about a text. In KS2, the Explain section covers the additional content domains of 2F, 2G and 2H which are not present in KS1. In Key Stage One children reading skills are taught and practised using the VIPERS during whole class reading sessions. 1b identify/ explain key aspects of fiction and non-fiction, such as characters, events, titles and information. 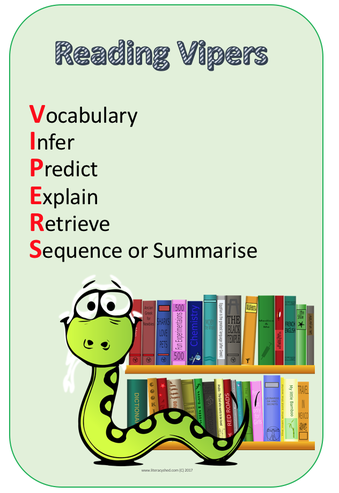 In Key Stage Two children reading skills are taught and practised using VIPERS during whole class reading sessions. As stated previously VIPER whole class reading sessions take place 4 x a week for 30 minutes including one extended 60 minute session per week that replaces the literacy session for that day. These are separate to but may complement literacy sessions. 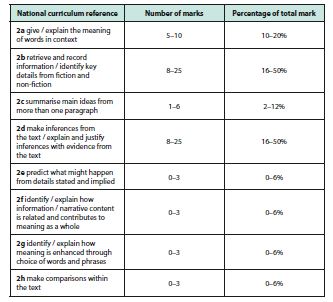 Sessions may vary session to session/ class to class depending on the needs of the children but has a general rule time spent on each VIPER is based upon the English Reading Test Framework (2016) number of marks available for each content domain. In KS1 we base a lot of guided reading questions around the ‘Retrieve’ VIPER and balance the other VIPERS appropriately. During a typical session the teacher will share what the content domain/s the children will be focusing on for that session. Teachers carefully select up to 4 key vocabulary words they want the children to learn that week. These will be taught, over learnt and embedded throughout the rest of the week during VIPER sessions and across the wider school day to allow for children to use these words in different contexts. Where appropriate they are applied during literacy sessions. During these sessions teachers cover fiction during week one, non-fiction in week two, poetry, songs, picture books, short films in week three and then this repeats to ensure children get access to a wide range of texts. 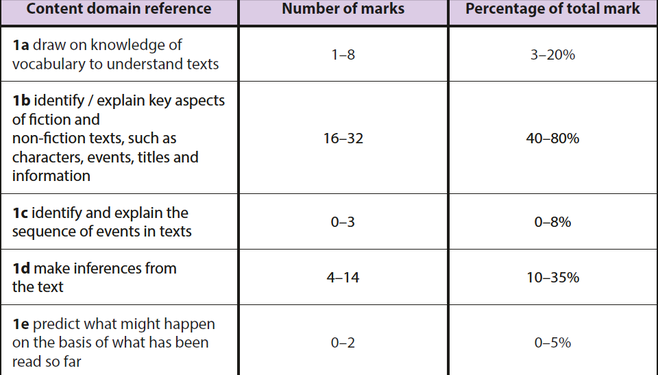 Types of text given are appropriate to the age and key stage of the children. Children read during these sessions in a variety of different ways. They may hear the teacher model fluent reading and then have time to reread the same extract themselves, they may read individually and feedback, work in groups, take turns in pairs or read aloud to the their peers. You may see a number of these different strategies during one session. Teachers plan 3 key questions each session based on the content domain being focused on. Children are encouraged to orally speak the answer before writing anything down acknowledging their first answer may not always be their best. We use a maximum of 3 question each session to ensure children have time to provide quality answers. At times children are given sentence stems and vocabulary that is expected to be used within their answer. Children are encouraged to provide evidence for their answer based on a text extract or a picture they have seen in the book. Where appropriate children are encouraged to use evidence from a range of different places within the text. We encourage children to orally talk through their answers and ensure it is the best they can give before writing anything down. We also acknowledge it is good for children to also be able to formally record an answer. Children can do this in a variety of different ways such as discussing the answer first with peers and/or an adult and then writing their best answer, working individually and then editing their answer accordingly after discussion or orally discussing 1 or 2 of the questions and writing down the others working individually. During this reading session teachers focus on specific children during the session, this may mean hearing them read individually whilst others are reading independently, in pairs or groups, discussing answers with those children and working one to one or within a group with them during a session whilst the others form an answer independently. Teachers can then assess these children based on NC expectations and how they are performing relating to the specific content domain.